Our family department comprises of Sara Stockdale, a Solicitor who qualified in 1996, and her assistant Clare Buckham. We have considerable experience in dealing with each of the above issues and we will support you and provide you with clear and comprehensive advice throughout the course of our dealings with you. Sara is a member of Resolution, an association of specialist family lawyers who are committed to the constructive resolution of family disputes. Resolution members follow a Code of Practice that promotes a non-confrontational approach to family problems and encourage solutions that consider the needs of the whole family – and in particular the best interests of the children. Sara is also a current member of the Law Society Family Law Panel. We also hold a current family contract from the Legal Aid Agency allowing us to provide legal advice to clients who qualify financially and who are in need of assistance. To check whether you are eligible to receive legal aid please use the eligibility calculator on the Legal Aid Agency website. If you do not qualify for Legal Aid then we will be pleased to offer advice on a private basis and will explain costings for this on request. 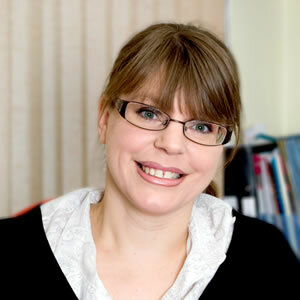 Sara qualified as a solicitor in 1996 and became a partner in 1998. Her passion and expertise lies in all kinds of family work (including separation, divorce and financial matters), but with particular emphasis on care and child-related work. She regularly attends court on behalf of parents and family members – and is an effective and highly-respected advocate. She can assist in both private and publicly funded work. She is a member of the Law Society Family Law Panel and RESOLUTION – an association of specialist family lawyers. She also has accreditation with the Law Society Children Law Scheme – meaning that she has been recognised as having a high level of knowledge, skills, experience and practice in the area of children law, be that in private practice or working for a local authority.